In his first Facebook missive posted after A24 lifted his ban from the site, First Reformed writer-director Paul Schrader took aim at the Oscars (“awards I don’t even respect”), complained about seeing his fellow directors too many times at awards-season parties (“I never need to see them again”), and casually mentioned that he’d “spent Christmas eve with Glenn Close and my family in Xmas costumes.” At last night’s Metrograph Anniversary Party in Manhattan, Vulture followed up on this holiday story, asking Schrader for every single detail. 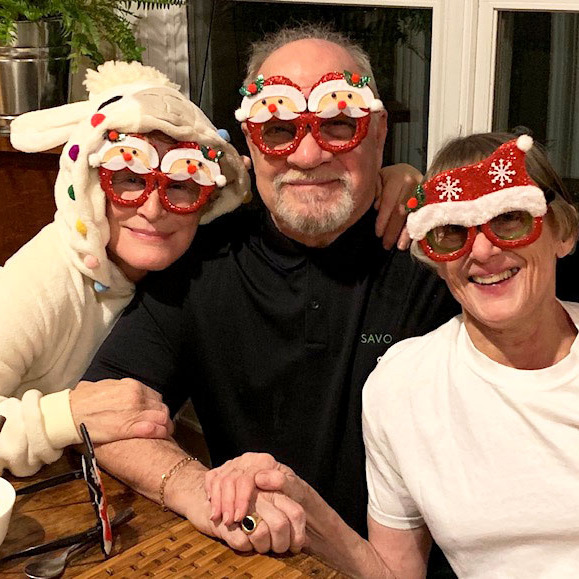 Schrader promptly pulled out his phone and showed us several photos of the event in question, including a photo of Close entering his house in a full-body sheep costume, as well as the photo above, featuring Close dressed as a sheep and Schrader and his wife, Mary Beth Hurt, in matching Christmas-themed eyewear. Below is our conversation in full. Is Glenn dressed up as a sheep? Is this a yearly tradition? No. She’s all over the world. She’s in Mexico right now. She just happened to be in town and had no place to go for Christmas Eve. She and Mary Beth are the oldest, oldest friends, from the time she was Mary Beth’s understudy. Did she tell you she was coming over dressed as a sheep? No. She just showed up dressed as a sheep. It seemed normal to you. Did she eventually explain why? Yes, but I forgot the reason. Did she bring these glasses for everyone? Yes, so she wouldn’t be the only one looking stupid. Can we run this photo in Vulture? They’re old friends. Glenn came over to our table and they were talking. Poor Amanda was left out in the cold. Why wasn’t Amanda at Christmas?